Spin Palace Casino was launched in 2001 and offers a massive selection of online games and rewards. As part of The Palace Group, Spin Palace is a fully licensed casino and has also received the eCOGRA seal of approval for fair gaming, and running an honest operation. The casino has more than 500 games available to play, including slots, roulette, blackjack, baccarat, video poker and casual games. 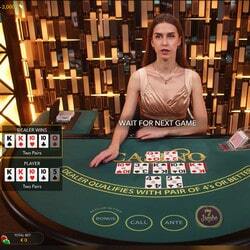 There is also a Live Casino section, where popular table games can be played in real time. Spin Palace has a great welcome bonus, worth up to C$1000, as well as regular promotions with amazing prizes up for grabs. And with a top-notch customer service team, available 24/7, you can rest assured that you are in good hands when playing at Spin Palace Casino. From the moment you land on the website, you’ll feel like royalty, and you will receive the same royal treatment throughout your experience at the casino. Registering a new account is quick and easy, and you’ll receive your account number immediately so that you can start playing. Live Casino has recently taken the world by storm, as you can play in the comfort of your own home, but in real time, with real dealers. Plus, you can chat to the croupiers and other players from around the world, while you stream table games, in high definition, to your PC, laptop or mobile. Blackjack : 30 live Blackjack tables are available to you, which include VIP Blackjack, Blackjack Party and special Palace Group Blackjack tables. 3 Card Poker : In this section you will find Casino Hold’em, Caribbean Stud Poker, Three Card Poker, Ultimate Texas Hold’em and Texas Hold’em Bonus Poker. Baccarat : Enjoy a variety of Baccarat games, in real time, with special tables including Baccarat Squeeze, Speed Baccarat, No Commission Baccarat, and the latest addition, Dragon Tiger. 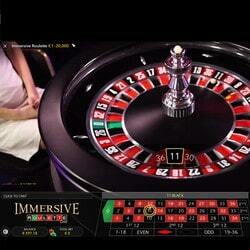 Roulette : With more than 15 Roulette tables, you can choose from Lightning Roulette, Immersive Roulette, Arabic Roulette, Shangri La Roulette, Double Ball Roulette and more. Dream Catcher: Choose a number on the wheel, place your bets and let the dealer spin the money wheel to see if you’re a winner. Football Studio: Similar to Baccarat, this football-themed game will keep you up to date with live games, while you place bets on Home or Away, and find out which card is higher. All games can be played in Demo Mode, which means that you’re not playing with real money and therefore no winnings can be cashed out. The only exception is the Progressive Jackpot games, which require a Real Money account. The reason for this is that, each time you place a bet on these games, a percentage of your bet goes into the jackpot pool, which means that total will continually increase until someone wins that progressive jackpot. Games like Mega Moolah are known for turning regular players into instant millionaires, due to their huge jackpots. It’s therefore recommended to register a Real Money account at Spin Palace, as you can also cash in big on the other available games. Plus, new games are released on a regular basis, so you’ll always be spoilt for choice. On the go? Enjoy the latest games on your mobile device and play wherever you are, whenever you want. While not all 500+ games are available on mobile, all new releases are adapted for the small screen, and popular games have already been added, without running the risk of losing any of the quality. Spin Palace Casino offers a huge variety of games, that is a given – but what are the promotions and giveaways like? Exceptional, is one word to describe it. 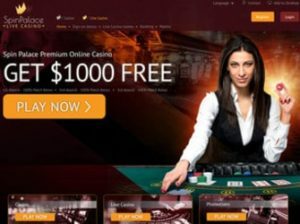 To start with, you’ll receive a welcome bonus worth up to C$1000, which works as follows: with your first deposit, you’ll get a 100% match bonus of up to C$400. This is followed by two 100% match bonuses of up to C$300 each with your second and third deposits respectively. As you continue to play at the casino, you’ll also receive a match bonus every day, known as Daily Deal, which is customised according to your gameplay, and therefore unique to you. This bonus is valid for 24 hours, where after it will be replaced with a new Daily Deal offer. There are also regular lucky draws and prize giveaways, as well as monthly themed promotions, where you can win a share of casino bonus credits, Free Spins on certain games and more. The Loyalty Programme at Spin Palace will reward you for your play. Every time you place a bet on any of the games, you’ll earn a certain amount of points (take note that the points value is dependent on the type of game you play). Once you’ve accumulated enough points, you can exchange them for free casino credits, so that you can continue playing your favourite games, without having to make extra deposits. And while we’re on the topic of deposits, let’s take a look at what’s available to you when you do deposit to play, or want to cash out your winnings. Enjoy safe and secure banking at Spin Palace Casino, with the latest 128-bit SSL encryption in place to ensure that your personal details are always kept safe. You can also make use of a variety of payment options for deposits and withdrawals – these include credit and debit cards (Visa and Mastercard), as well as prepaid solutions and web wallets. Popular choices include NETELLER, Trustly, Skrill, iDebit, Skrill, paysafecard and Entropay. You will receive non-stop, around-the-clock support at Spin Palace Casino. The team is professional and dedicated, and no question is too big or small for them to answer. Available 24 hours a day, 7 days a week, the support team can assist you with everything from a forgotten password to new game releases. They can even make some recommendations on which game to play next. If your query is not that urgent, you can send an email, which you’ll receive a fast reply on within 24 hours. Alternatively, you can make use of the Live Help facility for a speedy resolution – here, you can chat to one of the support team members in real time and they will get you back in the game as quick as possible. While you are more than welcome to contact Spin Palace at any time, it’s also recommended to make use of the Frequently Asked Questions (FAQ) page. You may just find what you’re looking for on this page, as it answers all the questions that most players want to know – for example, information about the Loyalty Programme, how to register an account, and more. Join Spin Palace Casino today and experience it all for yourself – registering a new account is quick and easy, and you’ll be playing in no time. And who knows, you could be the next big winner at Spin Palace, so open the virtual doors and step inside – a world of winnings await.